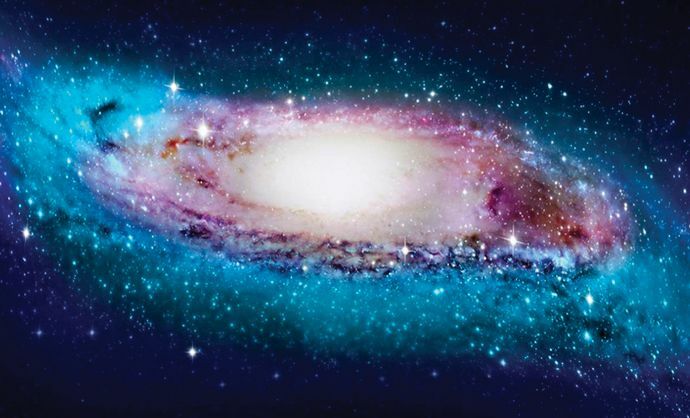 Astronomers have long believed the Milky Way is a flat spiral disk, much like the Andromeda galaxy, our giant neighbor. But new research suggests the Milky Way in fact resembles an old vinyl record that has become warped at its edges. No complete photograph has ever been taken of our galaxy, because Earth and every space probe ever launched sit within it. So scientists in China and Australia assembled a 3-D map of our celestial neighborhood using 1,339 stars known as classical Cepheids. Most stars are just steady points of light, explains PopularMechanics.com, which makes it difficult to tell how far away they are. A bright star, for example, could be close by or simply very big. But Cepheids—up to 20 times bigger and 100,000 times brighter than the sun—brighten and dim according to a precise schedule, which makes them especially useful for measuring galactic distances. The team’s resulting 3-D star map shows the Milky Way twisted into an S shape. That warping is likely a result of the torque produced by the rotation of the galaxy’s vast and dense inner disk, which contains hundreds of billions of stars. The Milky Way isn’t the only bent galaxy; more than half of all spiral galaxies have a twist.